Namewee’s Kickstarter campaign for his banned film “Banglasia” has failed to collect the amount it was aiming for – not even reaching half of the campaign’s goal. 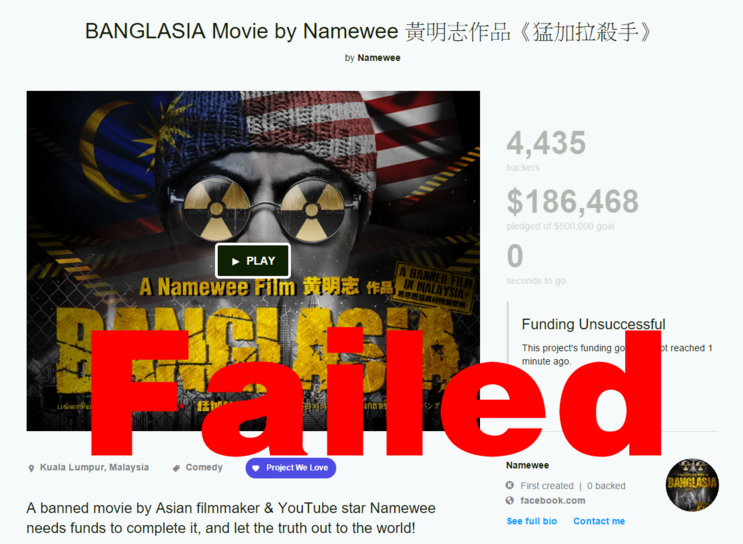 Back in early December, the controversial local director started a 40-day crowd-funding campaign on Kickstarter to collect USD500,000 to globally release his banned film, “Banglasia”, but his plan as confirmed by Namewee himself, has failed miserably as he only managed to collect USD186,468 at the end of the campaign. Namewee (Left) and and “Banglasia” producer Fred Chong. “Thanks to each and every one who supported “Banglasia”. Sorry that I have failed. But don’t worry; those who donated will get back their refund. Thanks a lot! 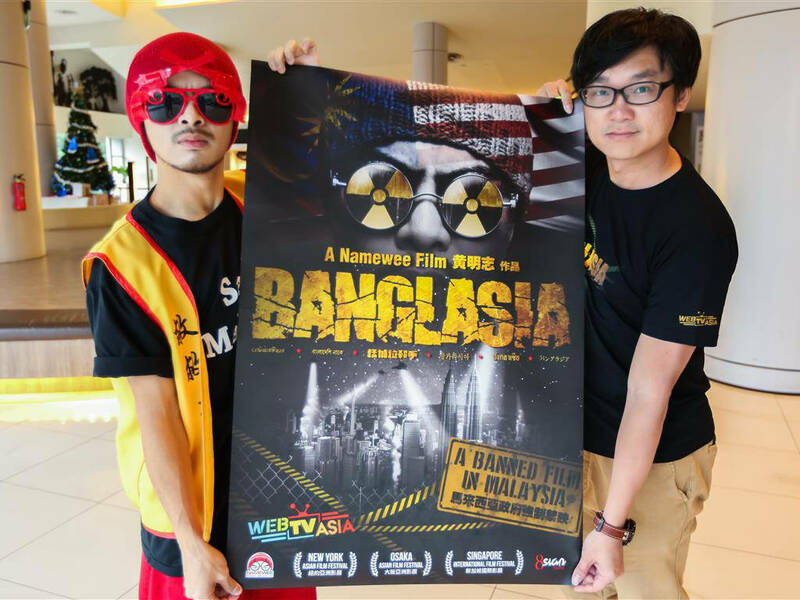 I will find other ways to release the movie,” Namewee posted on his Facebook. Most of the Facebook commenters noted that the reasons why the project probably failed was probably due to the targeted amount being too high with a deadline that is just too short. Another Facebook commenter shared his views that aside from letting his fans watch the movie, the purported main objective of the campaign in collecting the funds is supposedly also for Namewee to return back the money of all of his investors, so probably that had turned off a few people. “Too bad he stated that the Kickstarter objective is to repay the movie investors. Come on, you guaranteed your investors that they won't lose money? Then that's your personal pledge, why asking public to make good your pledge? Each and every investor should know that you invest at your own risk,” said a Facebook user on Namewee’s page. According to Kickstarter rules, if a campaign fails to meet its monetary goal by the set deadline, then the campaign would be automatically forfeited and all funds collected thus far will be returned to the donors. “Banglasia” is a film about multi-cultural individuals learning to put aside their differences and coming together as a team when their cultural tolerance and understanding are put to the test. The film has been banned from Malaysia after 31 scenes in the movie that were deemed inappropriate were cut off by the Malaysian Film Censorship Board. Nevertheless, the film was screened at several film festivals including Osaka Asian Film Festival 2015 (OAFF), New York Asian Film Festival 2015 (NYAFF) and Singapore International Film Festival 2015 (SGIFF).